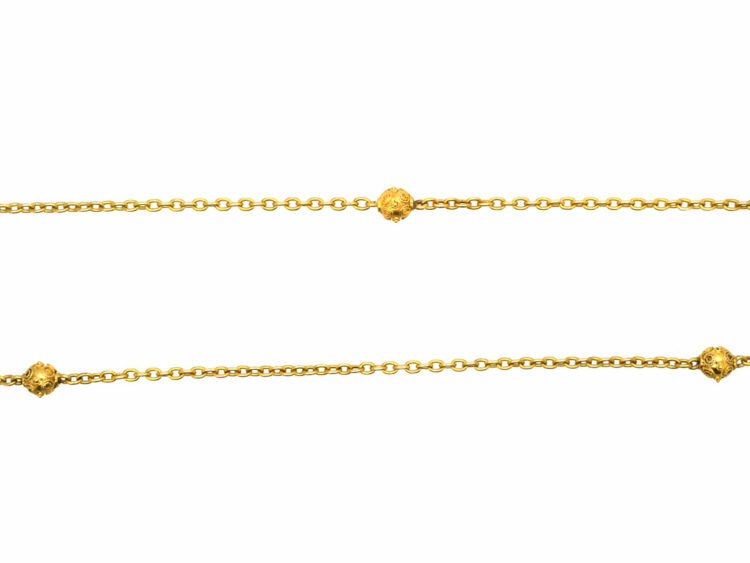 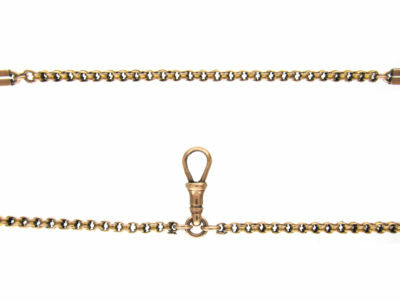 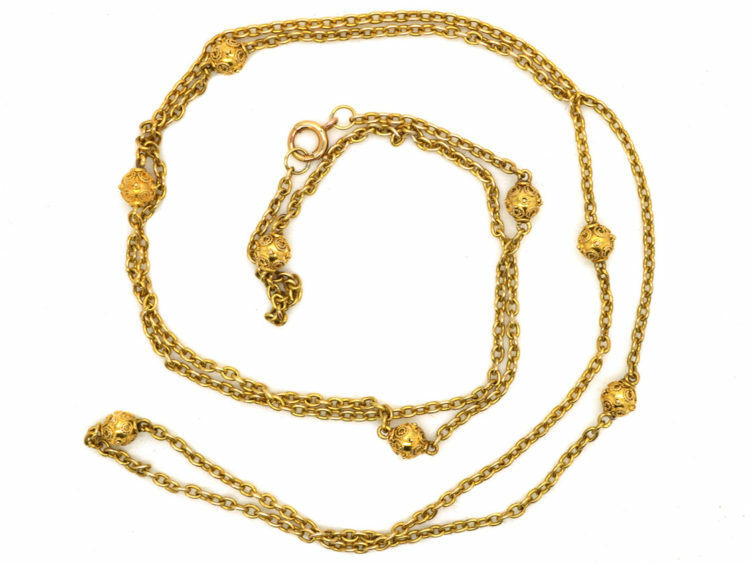 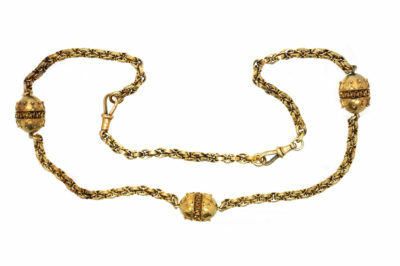 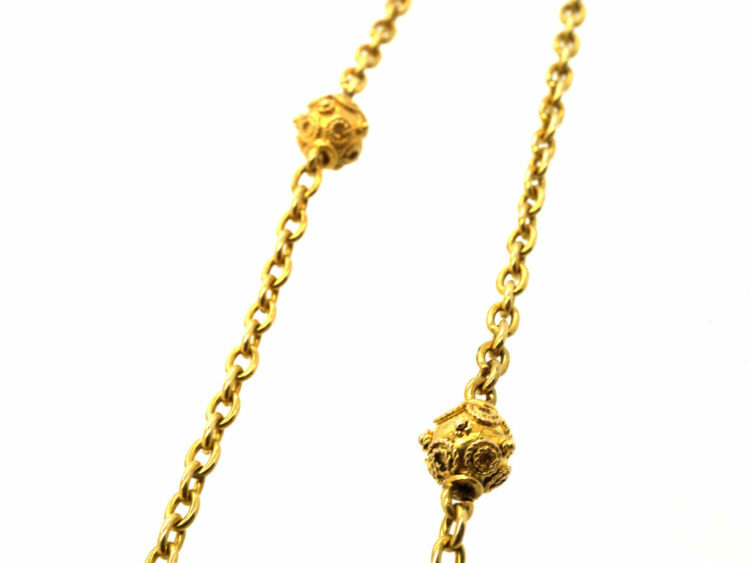 A pretty 15ct gold chain that was made circa 1870. 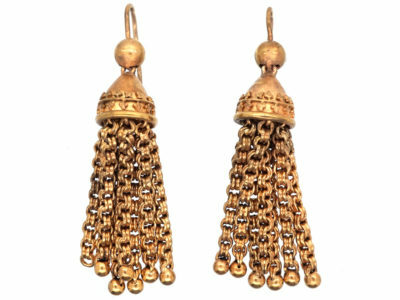 It can be worn single length or doubled up. 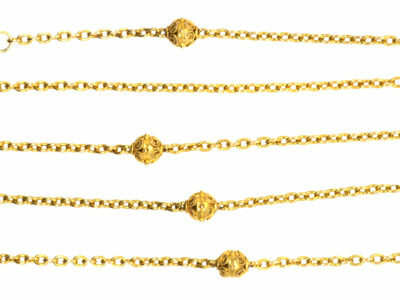 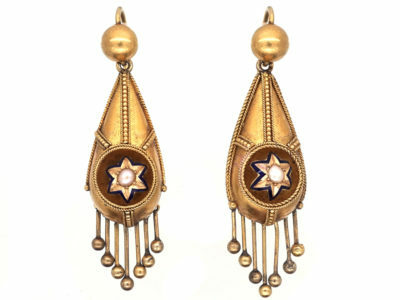 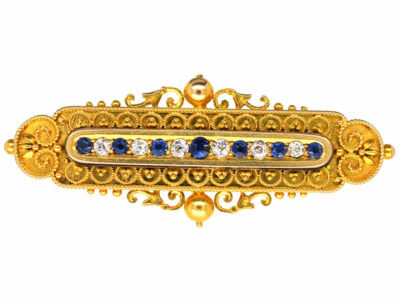 There are eight beads that have been worked in the Etruscan style with gold thread. 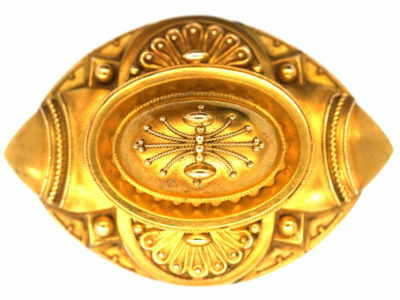 In the mid Victorian period there was a classical revival of Greek and Etruscan styles because many original pieces were being excavated. 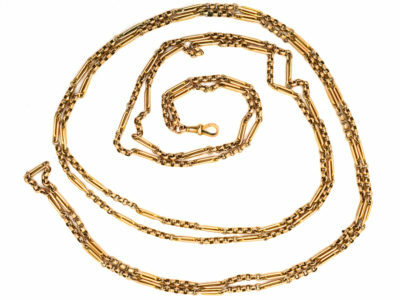 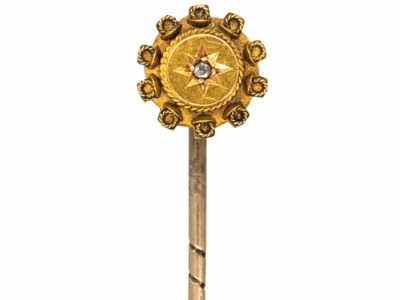 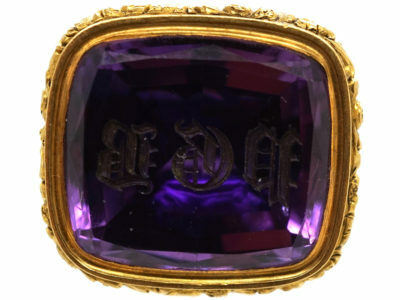 The famous jeweller Castellani was fascinated by the complicated processes used to create the jewellery and claimed to have found a solution to the technique of granulation that the Etruscans had perfected. 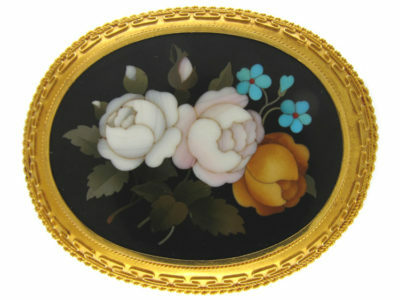 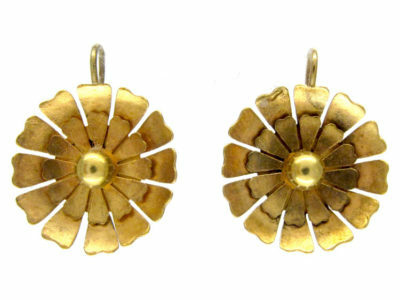 Other jewellers revived ancient techniques to create matte and shiny surfaces, depth and relief which were provided by corded wire, filigree and granulation. 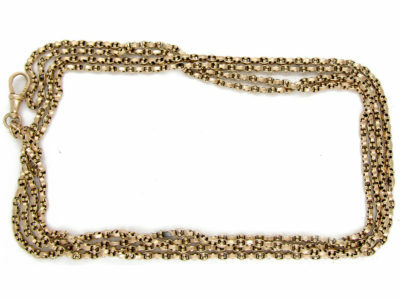 These beads are in that style.